India is one of the countries I really want to go to within the next year. I have an Indian friend and I keep forcing him to take me there but he won’t. I suspect he wants a piece to himself. Or that he’s embarrassed by me. Or both. Anyway, I asked Atish of Thriliophilia to tell me what awesome adventures I can get up to in India. He delivers. Gulmarg is one of Asia’s most famous heli-skiing resorts and is well-known for its Gandola Cable Car Lift. The place is ideal for individuals to learn skiing and is considered to be economical compared to other skiing locations. It is worth skiing up to the top to enjoy the spectacular views of the Himalayan range. The ideal month to go skiing in Gulmarg is in December. 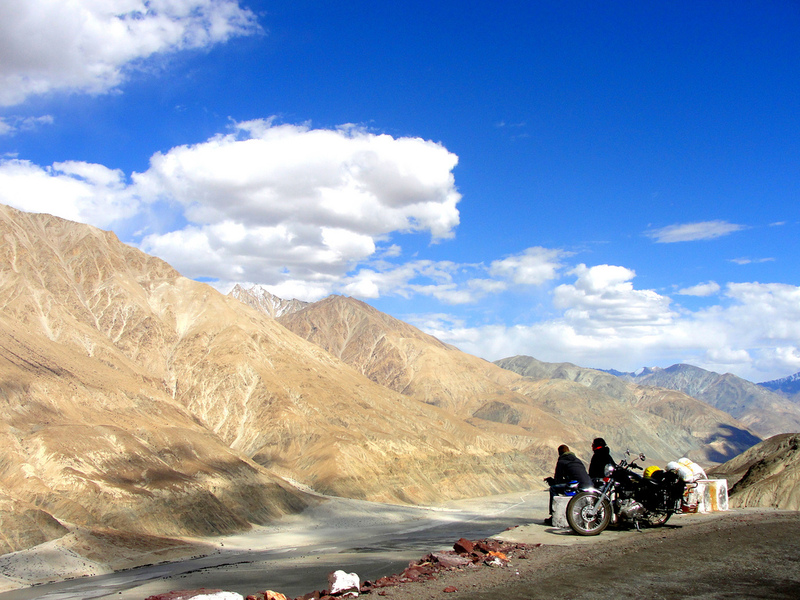 The deep gorges and the high-rise mountains of Zanskar are stunning. The place is naturally gifted with exotic wild flowers and rocky blades of grass. The spectacular monasteries, ancient fortresses, lush meadows and chirpy streams make this place ideal for trekking. The view from the top is breathtaking and the valley is inhabited by many endangered wild animals. The mountain biking journey takes you over the highest passes in the world, including Rohtang La, Baralacha La, Lachlung La and Tanglang La and the grand Khardung La, which is considered as one of the best roads for biking in the world. There are several hairpin bends which test the true ability of the rider as well as the bike but gifts one with splendid views that is a bone chilling experience. The coral reef ecosystem of the Andaman Islands is considered to be the richest in the world and the beauty of the ocean can be enjoyed only by means of scuba diving. The water is filled with fringing reefs, different types of sharks and other types of fish such as the nurse, leopard sharks etc. Rafting in Rishikesh is best enjoyed between the months of November and March. The rafts begin their rendezvous in the icy, unpredictable currents of Shivpuri and Kaudiyala which are the starting points with class III and class IV rapids. These rapids are graded based on the complexity and Rishikesh is the perfect hub for its fair share of thrills, chills and spill overs. The park is a part of Project Tiger and is home to the Himalayan Black bear, Tiger, Dhole jackal, Sloth bear, Martem etc. The Park has a presence of spectacular flora and fauna and the grandeur makes it a precious heritage. A wide and rich variety of animals from peninsular India as well as from the Himalayas can be found here. Any wildlife enthusiast will love the park. The Cauvery fishing camp is located on the banks of the River Cauvery and is the natural habitat to the famous Mahseer fish. Carp, catfish and other small-sized fish are also found here. One can learn new different techniques for fishing here. Fly fishing, bait fishing and spinning are some of the techniques that are used. The catch and release system is a very popular activity in this fishing camp. Camel safari in Bikaner is all about exploring the local rustic villages and visiting palaces, deserted forts and ancient temples. 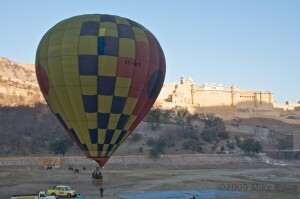 Camel safari is on of the most popular activities in Rajasthan for tourists. The safaris range from short safaris arranged for a few hours to longer ones from 4 to 15 days giving beautiful views in the desert. The backwaters of the river Kabini are a perfect place for leisure. Herds of elephants can be seen and this is known as the kingdom of elephants. The Kabini River flowing in the area is ideal for camping and the lodge can accommodate 50 people at a time and is well-equipped for people wanting to have a short stay there. The desert state of Rajasthan is the most popular place for hot air ballooning in India and it takes place in Jaipur, Pushkar, and Ranthambore National Park. A bird’s eye view of the Ranthambore wildlife and Pushkar Camel Fair is what one can expect to see and the view does not disappoint. Thanks Atish, I’ll look forward to be doing some of them! If you would like to follow more RexyEdventures, please do follow me on Facebook and Twitter and Instagram. Or you can even sign up on my homepage to receive amazing emails from this fantastic travel website. Sounds great and I didn’t do any of these things when I was in India – maybe because I was rigidly trying to stick to my tiny budget! Maybe next time I’ll take this list with me and tick a few things off!